Replacement Ozone Chickenloop V4 Click-In harness loop and lock tube. 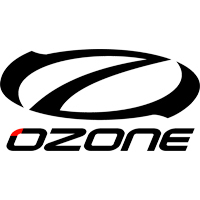 This replacement works on Ozone Contact Water, Foil Freeride, Snow, Race, and Foil Race bars. Small - if you ride hooked in only, have a shorter arm reach, or prefer the bar closer to your body. The small loop comes standard on Compact, Snow, Race, and Foil Race Bars V4. Medium - is perfect for most riders. The medium loop comes standard on Water and Foil Freeride Bars V4. Large - is designed for unhooking or riders with a longer arm reach. The large loop comes standard on Freestyle Bars V4.